In twenty elegant pieces, writer, sculptor, and theologian Kent Nerburn celebrates the daily rituals that reveal our deeper truths. A companion piece to Kent Nerburn’s book Simple Truths, Small Graces is a journey into the sacred moments that illuminate our everyday lives. Through the exploration of simple acts, he reminds us to chart a course each day that nourishes the soul, honors the body, and engages the mind. Small Graces asks us to observe life’s quiet rhythms, the subtle shifts in perception and changes in light, the warm comfort of family voices; to feel the blessing of birdsong, the solitude of a falling leaf, the echo of footfall in snow-covered woods. 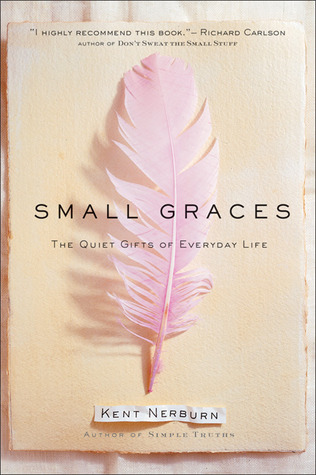 By inviting us to recognize the hidden power of the ordinary, Small Graces reveals the mystical alchemy of the mundane made profound by the artistry of a well-lived life. Maybe I’m just in a weird reading mood, but I didn’t really get anything from this book. There were some things that I resonated with. The section about family and how it’s weird and beautiful and cool that you choose a spouse or partner, and the family is chosen for you. I agree, it was cool. The rest was just kinda ehh for me. I think the thought was there and the meaning was nice, but I just don’t really see the point in this being a book…. Kaz Brekker and his crew of deadly outcasts have just pulled off a heist so daring even they didn’t think they’d survive. But instead of divvying up a fat reward, they’re right back to fighting for their lives. Double-crossed and badly weakened, the crew is low on resources, allies, and hope. As powerful forces from around the world descend on Ketterdam to root out the secrets of the dangerous drug known as jurda parem, old rivals and new enemies emerge to challenge Kaz’s cunning and test the team’s fragile loyalties. A war will be waged on the city’s dark and twisting streets – a battle for revenge and redemption that will decide the fate of the Grisha world. 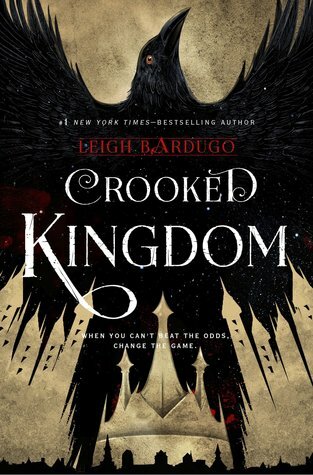 Crooked Kingdom, second book in the Six of Crows duology, follows the misfit crew of Kaz, Inej, Nina, Matthias, Wylan, Jesper, and Kuwei as they unveil secrets, devise intricate and delicate plans, and ruin lives. I don’t know what it was about this book, but I’m honestly a little disappointed. The writing style is great; a little too detailed for my taste at moments, but still nice. I love the intricacies of the characters. They’re all unique and interesting with well-thought-out back stories. I think what bothered me about this book was the amount unspoken. I love trying to figure out what happened and why while I’m reading, but I don’t think there were enough clues given to be able to fully understand what was happening before it was explicitly stated. It’s a given that Kaz will come up with crazy plans, but sometimes it would be nice to be in on the secret before it has to be stated. I feel like there was a lot of telling and not showing throughout this book. There was NO WAY to possibly understand every nuance before it was explicitly stated, and that kind of bothered me. Yes, it’s awesome to read about a great plan, but it’s not as satisfying if you don’t get to see how it all unfolds. The ending was SO UNSATISFACTORY. I knew something was going to happen to someone right at the end, but it just doesn’t really make a ton of sense. It seemed more like a plot device and less like an intentional choice. Also, where the heck is the romance. All I wanted was for some romance from these characters who OBVIOUSLY loved each other, and we barely got anything! What’s up with that? I understand this is YA, but why was the number of romantic scenes less than fingers I have on one hand? All I wanted was some cute romance. Again, I think there was too much left to the imagination. It’s just weird because I really did enjoy a lot of this book, but overall I think my feelings were pretty “okay” about it. I just don’t understand why we couldn’t have had a real romance. Jesper and Wylan could have EASILY been together for more than half the book. The ending with Kaz and Inej… why not more than that? He never even TOLD Inej about why he hates skin on skin contact. She spilled her heart to him and he couldn’t do the same. I’m just confused. 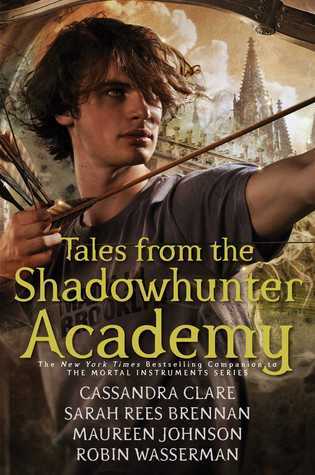 I see why a lot of people like this duology, but I think the first book was much stronger than this one. Teenage Ellie has always had romantic ideas about drug addicts, those tragic artistic souls drawn to needles and pills have been an obsession since the death of her junkie mother ten years ago. But when Ellie lands in an upscale rehab clinic where nothing is what it appears to be… she’ll find another more dangerous romance, and find out how easily drugs and murder go hand-in-hand. 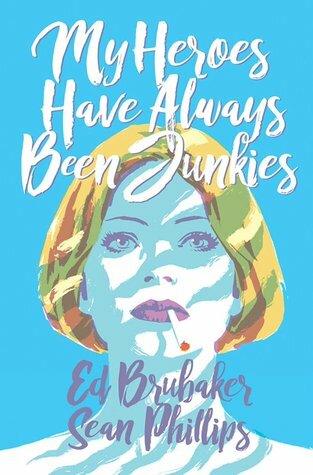 MY HEROES HAVE ALWAYS BEEN JUNKIES is a seductive coming-of-age story, a pop and drug culture-fueled tale of a young girl seeking darkness — and what she finds there. I don’t know. I’m not 100% sold. This graphic novel follows a girl named Ellie who has been romanticizing addiction her whole life. Her mother was an addict and all her musical heroes were addicted to alcohol or drugs, so she decides to experiment with different substances. 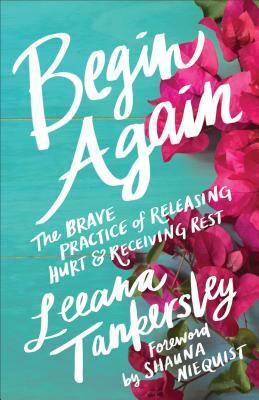 The novel starts out with her in rehab and escalates from there. I don’t really understand the point of this book. The art style was cool and the color scheme was nice, so I’m adding an extra star for that, but the plot was just dumb. Ellie decides to date this other guy that’s in rehab with her, and she deceives him in the end, but there was no point to her doing that. There just wasn’t a purpose for any of her motives at all. I liked the flashbacks from her childhood about why she became obsessed with addiction, but it also doesn’t seem like a solid plot device. This served its purpose of being a quick read. Idk I don’t really have anything else to say about it. After moving back to Ohio, Alice is stuck sharing a bedroom with her brother, and worse, sharing his dreams! The bright spot in her life is her best friend, Jamie, but there’s more history between their families than Alice realized, and there are secrets buried deep in their small town that only she’ll be able to explore…but only in her dreams! 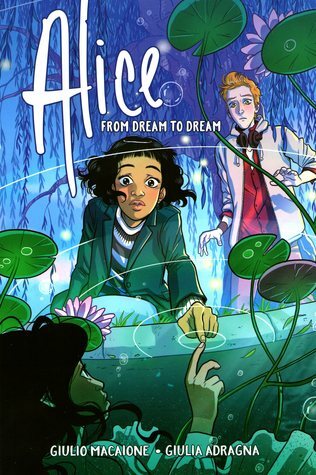 From writer and artist Giulio Macaione (Ofelia), Alice: From Dream to Dream is an otherworldly trek into a spectacular world of dreams, nightmares, and being a teenager. I LOVED the art style of this graphic novel. I think this is my favorite art style I’ve ever seen in anything, honestly. The colors were beautiful and went together so well, and the illustrations were just amazing. It was so whimsical and well suited for a graphic novel! This story follows Alice who can experience other people’s dreams. She has been experiencing her brother’s nightmares and has been getting no sleep because of it. The only good part about her life is her best friend Jamie because he helps her deal with school bullies, and is always there for her. When he randomly starts acting differently Alice becomes very confused and sad because their friendship isn’t what it used to be. Jamie gets in an accident and ends up unresponsive and in a coma, so Alice decides she’ll try and use her ability to see other people’s dreams to go and help him. This was a super cool concept and reminded me a lot of Alice in Wonderland. This could be partly because her name is Alice, so that seed was already planted in my mind, but who knows. I am always intrigued by dreams because mine are ALWAYS so vivid. I have the weirdest dreams out of anyone that I know, and I can pretty much always remember them in the morning. Very strange, but this made me connect with the story more! I loved the diversity of the cast of characters. Yay for actually having different ethnicities, but not making it feel like you’re just checking off boxes. It’s always so impressive. The main character, her mother, and her brother were all black; her father and best friend were white. It was just nice seeing different groups represented. All in all I think this was a great graphic novel and would recommend picking it up! The color scheme – 10/10. I honestly wasn’t a huge fan of this book; there just wasn’t much to the story. 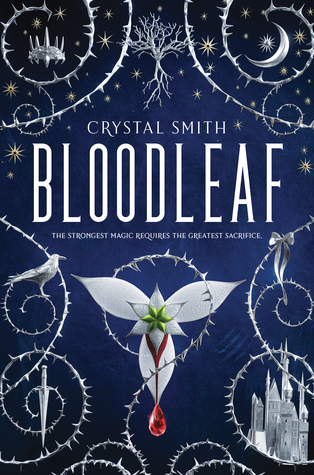 Bloodleaf follows Aurelia who pretends to be a girl named Emilie when she runs away to a different city. She is learning to use her blood magic powers and ends up becoming besties with some people that are high up in the government in this new place. Emilie (Aurelia) is actually the princess but none of her new friends know this, and she gets brought into different issues because of her blood magic. There just wasn’t a lot happening in this book that warrants being a great story, honestly. The magic system was NOT described hardly at all. I was just kind of confused when it came to what was actually happening. Also, Aurelia literally has no idea how to use this blood magic. She doesn’t know what she’s doing when she flees home to come to this new place, and then starts messing with it and perform the magic perfectly by the end of the book… umm? I get that you need to practice something in order for it to be a thing, but come on. She has no one teaching her. There’s literally no way that she would know what she’s doing. The talking to spirits/ghosts/whatever they are was also not explained at all. How does she know how to communicate with these people, and why is she able to? There are just so many unexplained questions I have about this book. The relationship with her and this undercover prince is just so… weirdly forced. It’s also unsuccessfully trying to be the hate-to-love trope. Which I actually usually enjoy, but it was just poorly executed, in my opinion. This is one of those books that I didn’t really realize I had so many feelings about until I starting writing this review… so there’s that lol. I think part of the reason I didn’t enjoy this book that much was because I just don’t do well with ebooks. So I started reading this on my Nook right when it came out because it is the group book for the readathon I co-host on my YouTube channel, but I just don’t connect with the books as much. Then I got the book from the library and finished it much faster. Idk, so that could be a factor but it could also just not be a great book for me. Thanks for reading this rant-y review have a great day give the book a try if you wanna. I didn’t realize how much there is about the Blackthorns in this book! It just makes me that much more excited to reread The Dark Artifices series omg. I’m actual trash for Emma and Julian so seeing them… I’m totally not prepared for Lord of Shadows or Queen of Air and Darkness. I love Simon, so this book is always enjoyable to read for me. I love these anthologies because they’re easy to read and give a little more information on my favorite characters. I forgot so much about this book. I think I’ve only read this one once, and the Dark Artifices weren’t published when this came out, so I didn’t understand the extent of the Blackthorns, but now I know. Now I understand, and like I said, I’M TRASH FOR THEM. I love all the characters so much wow. Also, George. So cute. So sweet. I wish the thing didn’t happen to him. Sad. The story with Alec and Magnus and baby Max makes me extra suspicious about this new baby. I think that Max is super fricking cute and I love reading about Alec and Magnus, but guys. Something has to happen with the backstory of this child. There’s no way it won’t come up in the Malec books.